* Our versatile lightweight Chair for indoor and outdoor use features radius corners and multiple uses. * First, use as a chair with either a 6" high seat or 9" high seat. * Second, flip over the chair and use it as a table or a seat for adults. 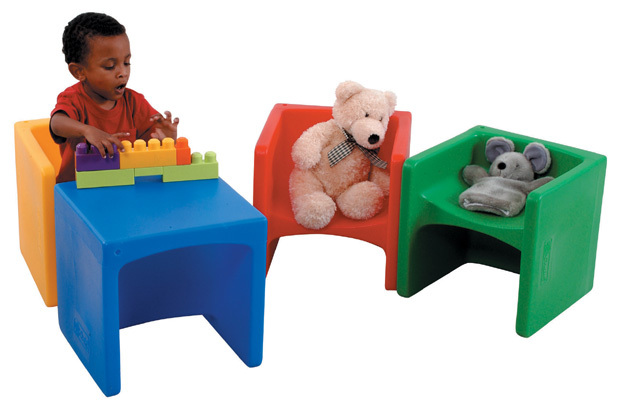 * Manufactured from non-toxic recyclable polyethylene. * Dimensions: 15" x 15" x 15"
15.25" x 15.25" x 15.25"